First Aid Training Liverpool – Being a first aider can be a daunting responsibility and accidents and illness can happen in the workplace at anytime. For this reason, offering your staff the best quality training is very important. It is a legal requirement for employers to undertake a first aid needs assessment. 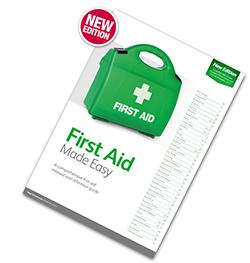 This assessment will help you determine the number and type of first aiders required to provide adequate first aid cover for your place of work. First Aid Training Liverpool – We provide affordable first aid courses and consultancy services to businesses, schools, sports associations, and most construction and building sectors in Liverpool and the Merseyside area. Our training consultants are accredited to the highest level to deliver a complete range of Health and Safety courses. Our first aid courses enable learners to provide effective help and give safe and prompt first aid to a casualty in the workplace following an injury or illness. Each Delegate will receive a FREE First Aid manual on attending any of our First Aid courses and because our First Aid courses are fully accredited, you can be assured that you have fulfilled your legal responsibilities for providing quality first aid training to your staff. We will always be updating our course content and implementing changes as required by the HSE in delivery of our 1 Day Emergency First Aid at Work (EFAW) and the 3 Day First Aid at Work (FAW) training courses. Please visit the Emergency First Aid at Work updates from the HSE for latest First Aid updates and useful information. First Aid Training Liverpool – Why Choose us for your First Aid Training? As a Registered Training Centre provider with Qualsafe, we adhere to strict external quality assurance regulated by Qualsafe. In addition to this we maintain regular Internal Quality assurance and observations for all our training consultants. Our First Aid Courses are Ofqual regulated. Our training consultants have a high level of occupational knowledge and competence to deliver first aid training – evidenced by holding a current first aid at work and/or medical qualification. Our training consultants have the knowledge and competency in teaching and training first aid – evidenced by holding a nationally recognised teaching qualification. Workplaces where there are more significant health and safety risks are more likely to need a trained first-aider. A first-aid needs assessment will help employers decide what first aid arrangements are appropriate for their workplace. For further guidance please visit the Health and Safety executive (HSE) section on First Aid in the workplace. First Aid Training Liverpool – For more information on our first aid courses offered by Training Solutions North West and how we can help you find the right training courses for your business please email us or alternatively, call us on 0151 515 0416 and speak with one of our training Consultants.